Here it is -the high point of my week- the long awaited opening of Acineta cryptodonta. And what a payoff. 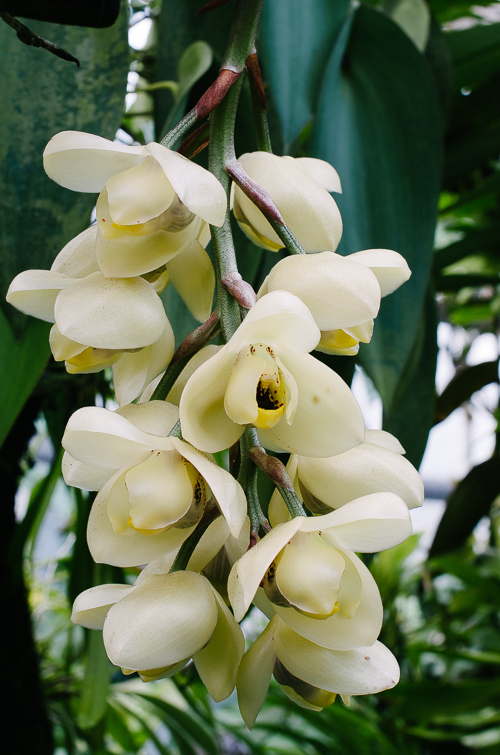 The first flowering of any unusual orchid generates some buzz among our greenhouse staff, but this plant is something special. Maybe it's the color -the luminous pastel yellow of the flowers that keep me circling back for another look. 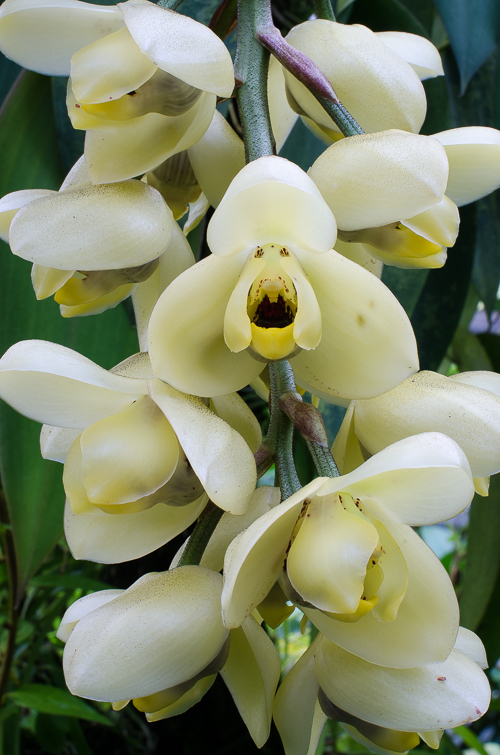 Or the weird, almost bitter mixture of fragrances, unlike any other Euglossine-pollinated orchid that I have encountered. Is there a hint of indole in that fragrance? And the name 'cryptodonta' makes me want to open up a flower to find the hidden tooth. It's not easy to find information about this species. Gunter Gerlach's Stanhopeinae site has some fascinating shots of the plant cloaked in moss on steep slopes in Venezuela at 1400 m. accompanied by bromeliads, aroids and gesneriads. Apparently it is also known from Colombia. 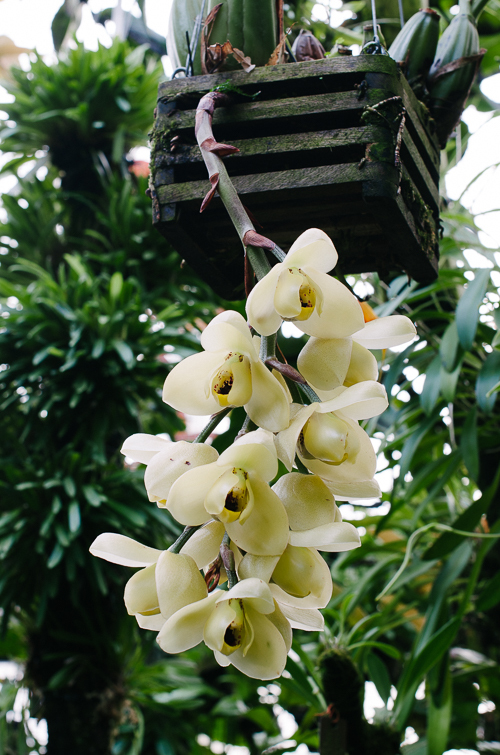 You can find our plant growing in a cedar basket in the Tropical High Elevation House growing in a mixture of moss and tree fern fiber. Be sure to look for it in the back of the greenhouse. There is a second spike forming, so if you miss it this week, check back in about three weeks.